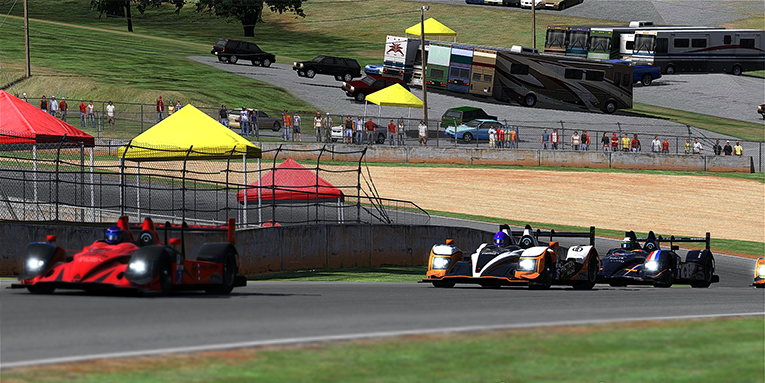 March 15th was the finale day of the debut season of the NEO Endurance Series at Road-Atlanta. The championship was still open in all classes and it all came down to the final 6 hours of racing. This 4,09 km track is very short, narrow and not a lot of run-off areas. 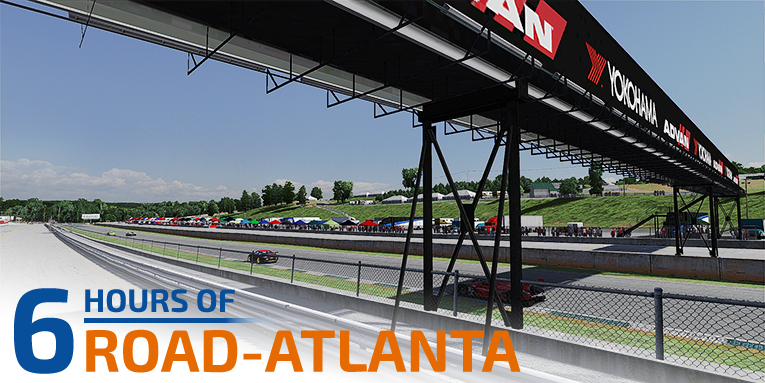 Road-Atlanta offers no room for mistakes and is very challenging when passing or getting passed by other cars. Radicals Online needed to win or finish second in order to have a shot in the championship. In the opening laps it looked liked the championship battle was in Radicals Online favor. 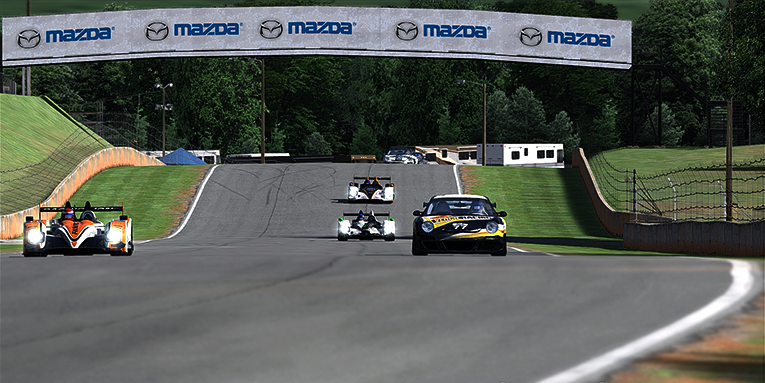 In lap 23 the car 34 (GT) of Apex Racing UK spun in turn 3 and Coanda Simsport had nowhere to go. Car 11 was heavily damaged and was forced to tow back into the pits for repairs. The crew managed to make the car drivable again and Coanda Simsport was on damage control mode for the remainder of the race. Radicals Online lead the majority of the race and were on right path for the championship. But on lap 166 they went into the wall on the exit of the final turn. This incident lost them the lead of the race and a shot at the championship. Friction Racing took advantage of the problems for the number 1 car and took over the lead. Car 15 of Friction Racing had an exciting battle with Team Chimera for the win. In the final stages of the race car 15 passed car 24 for the overall lead. Team Chimera did not give up easily and tried to stay in the slip stream of Friction Racing. Unfortunately the battle ended abruptly 10 laps before the end, when car 69 of Friction Racing GT made contact with the 24 of Team Chimera. Luckily Team Chimera could continue and still finish second, behind Friction Racing. It is the first victory for Friction Racing, who had the speed throughout the season but couldn’t convert this into a good finish. Just 12 second behind Team Chimera it was Apex Racing UK, car number 3, who took the final step of the podium. Radicals Online finished fourth after their problems. One lap behind Radicals Online it was Kroenert Motorsport who a good race and finished fifth. Despite the incident, Coanda Simsport managed to finish ninth and that was enough to clinch the first NEO Endurance Series Prototype championship. Coanda Simsport was very consistent throughout the majority of the season. Radicals Online finished second. They had the speed, but made some small errors in some races. It was a great battle and in the end it was Coanda Simsport on top. Best of the rest in the prototype class it is Apex Racing UK, who finish third in the championship. For full standings of the prototype class, go to the standings page. The GT class was extremely close in the standings before the final race. Four teams still had a shot at the GT championship. Apex Racing UK, car 34, had no chance after contact with the HPD of Coanda Simsport early in the race. It was iRacing Denmark Assault Racing who dominated and won the race, but it was not enough for the championship because New World Sim Sport car number 50 kept racing safe throughout the race and finished second. That was enough for NWSS to clinch the championship. The third step of the podium was for Fenix Motorsports 64. A good result for this team after a good consistent season. 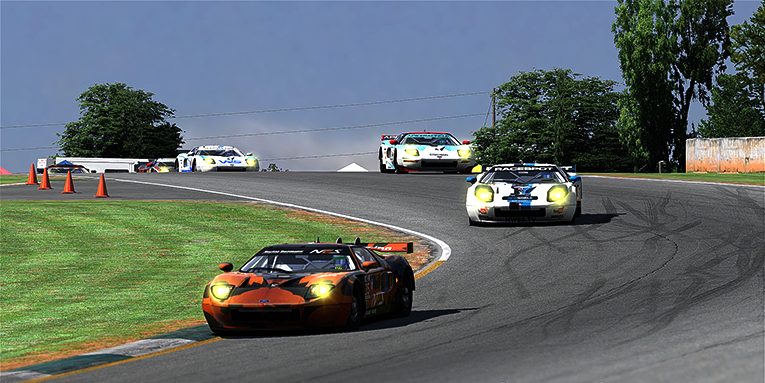 New World Sim Sport are the GT champions after their second place finish at Road-Atlanta. 9 points behind the champions it is iRacing Denmark Assault Racing who finished second in the points standings. In third it is Fenix Motorsports 64 who were always ready to capitalize when the cars in front had troubles. For full standings of the GT class, go to the standings page. In the GTC class it was business as usual for Vergil Racing. They dominated their class and took their fourth victory of the season. Vergil Racing only had a small hiccup mid-race where they spun the car in the turn 10 complex but lost no positions. KRT GT Motorsport car 80 proved that driving solid without errors can turn into good results. They brought their car home in second, one lap after Vergil Racing. This is the first podium finish for KRT GT Motorsport and at Road Atlanta was the first time we really saw their true potential. In third place we find the ever consistent SRN Motorsports who in this first season never has finished lower than fourth. That’s quite a remarkable effort. It’s no surprise to see Vergil Racing take the GTC championship, which they quite simply dominated with 209 points in total. Only at the second round at Circuit of the Americas were they down the order due to a disconnect and a penalty. In second place we find SRN Motorsport with 166 points. After an intense battle for points with IRDK Endurance and The Dart Frogs throughout the entire season, SRN Motorsports proved that consistency is the key to success. The Dart Frogs finishes in third with 120 points – just two more than IRDK Endurance. The Dart Frogs has shown great speed and potential and will be interesting to follow in the future. To see how the complete GTC class settled, go to the standings page. And that’s it for first season of the NEO Endurance Series. Big congratulations to the podium winners of all three classes! NEO hopes teams, drivers and fans truly had fun and found it as exciting. Preparations for season 2 are already underway. Check out the website for the latest news. Follow NEO on Facebook and Twitter for the updates.